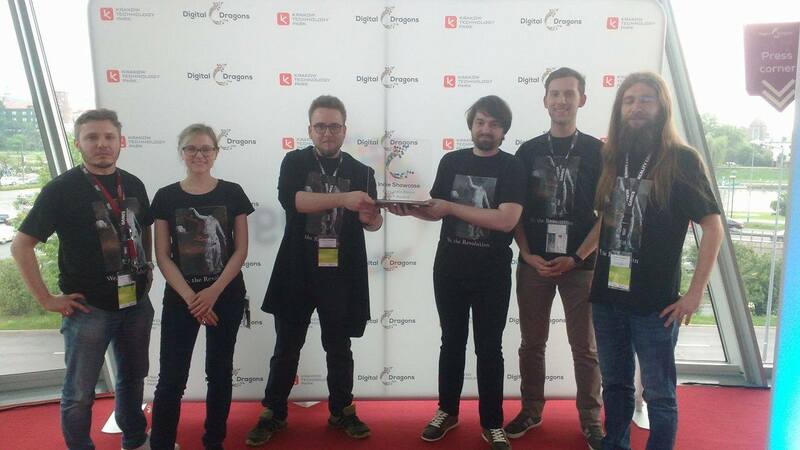 Over the course of this two-day event our game was played by the cream of the crop of the Polish game development industry, as well as representatives of the biggest international companies, such as Ubisoft, Blizzard, or Remedy. We have received constructive feedback, and the players shared with us the emotions they felt while solving the available court cases (which are one of the key elements of We. the Revolution’s gameplay). The survey we have conducted showed that the overwhelming majority (97%) of the players were highly interested in the game’s future, which was proved by the positive comments and the votes cast by the Indie Showcase jury.